It’s the holiday season and as gift-giving time approaches, some of you may be stumped about what to give the car enthusiast on your list. Over the years, we here at PumpTalk have put together a few ideas for you – so we thought that this year, we’d help provide some inspiration with a run-down of our top gift idea posts! 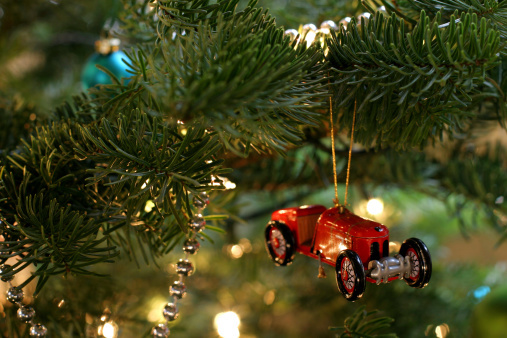 Holiday Gifts for the Young Drivers on your List – Got a new driver at home this holiday season? Here are a few practical items to help keep them safe on the road. Take the Flag this Holiday Season - This one is for the hard-core car lover on your list. One for the Road – Great Books about Cars and Driving – They can’t spend ALL their time driving or working on their car. So here’s a little light reading for the vehicle aficionado on your gift list. Stocking Stuffers for Car Enthusiasts – Great little gift ideas that won’t break the bank – and might secure you the “shotgun” spot on your next drive. Over to you, car lovers! What would you like to see in your stocking – or in your garage – this holiday season? Let us know in the comments!